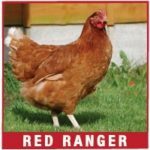 Where do your Chickens come from? Ace Hardware has teamed up with Hoover's Hatchery out of Iowa. They have been in business since 1942 and are dedicated to quality breeding and sourcing. All of our birds arrive in the mail from Hoover Hatchery. They are a HPIP hatchery and test chicken's for any disease and/or infections before sending. They take extra steps to ensure that all of our customers have the best quality chicks available. 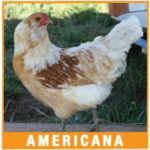 Are your Chickens Vaccinated for diseases? In order to keep your current flocks safe from infection, Jabo's Ace has all of its baby chicks vaccinated for Mareks Disease as well as Coccidiosis. FYI - Most feed stores do NOT vaccinate their chickens to be more cost effective. We believe in taking extra care of chickens that could potentially become part of the family. 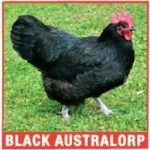 Can I special order other types of Chicken/Birds? YES! Jabo's Ace has access to tons of other birds! We can get everything from Bantams, Ducks, Geese, Turkeys, Pheasants, Guineas and more! However, some fowl species require minimum orders. We also are restricted to only sell baby fowl under the age of 14 weeks. Can you put a Chicken coop on Concrete? Chicken coops can be kept on concrete however the Chicken's may not be too happy. Chickens love to forge, they will scratch up the ground, eat grass and may even leave shallow craters in the earth to bathe in the dust. Also insects are more likely to enter a coop on grass than a coop on concrete. Insects make a very nutritious snack for chicken and adds more nutrient to their eggs. If you keep your Chicken on concrete you will need to add grit & variety to their diet. Grit is basically small rocks which aids in the digestion process and can normally be found by the chickens if kept with grass or dirt. How do I get more nutritious eggs? Chicken's love garden weeds and they are super beneficial! Whatever nutrient your chicken receives will reflect the quality of the eggs. Clover is high in calcium, niacin, potassium, vitamin A & B, iron and protein. Purslane is a beautiful plant and provides huge amounts of omega 3 for chickens. This is a great plant to surround the sunnier part of your coop. Green vegetable, kale, broccoli, cauliflower leaves, fruit peels, mulberry tree droppings, sunflower and amaranth seeds all are very beneficial for your Chickens. To tie in with the question above, if your coop is placed on concrete or away from grassy areas make sure to spoil your chicken with lots of extra nutrition. CLICK HERE to see how what you feed your chickens matter! How many eggs does a typical hen lay in a year? The average number of eggs laid by a hen in a year is 259. A hen starts laying eggs at 19 weeks of age. As a hen grows older, she produces larger eggs. Chickens start to pant at around 83 F, but just because they are panting doesn't necessarily mean they are overheated. Like dogs, chickens don't have sweat glands, so they pant in order to maintain their body temperature. They also spend most of their time outside taking dust baths and scratching around for bugs. To prevent overheating, you can fill plant saucers up to 2" of cold tap water. The first time you put the saucer in their coop you must introduce the chicken to it. Once they understand it is water they will use it to keep cool. You will want to regularly maintain the saucers as sitting water can lead to pest and bug infestations. 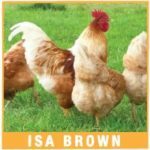 How can I get my Chickens to lay in the nests instead of on the floor? Have the nests in a convenient location and accessible to the birds. Frequently pick up floor eggs, and place them in the nests. Destroy the floor nesting sites. Place artificial eggs in the nests. Move chickens from rearing to laying pens before they stat to lay.